I got more work done on daemons to take as allies with my various CSM sub-factions. 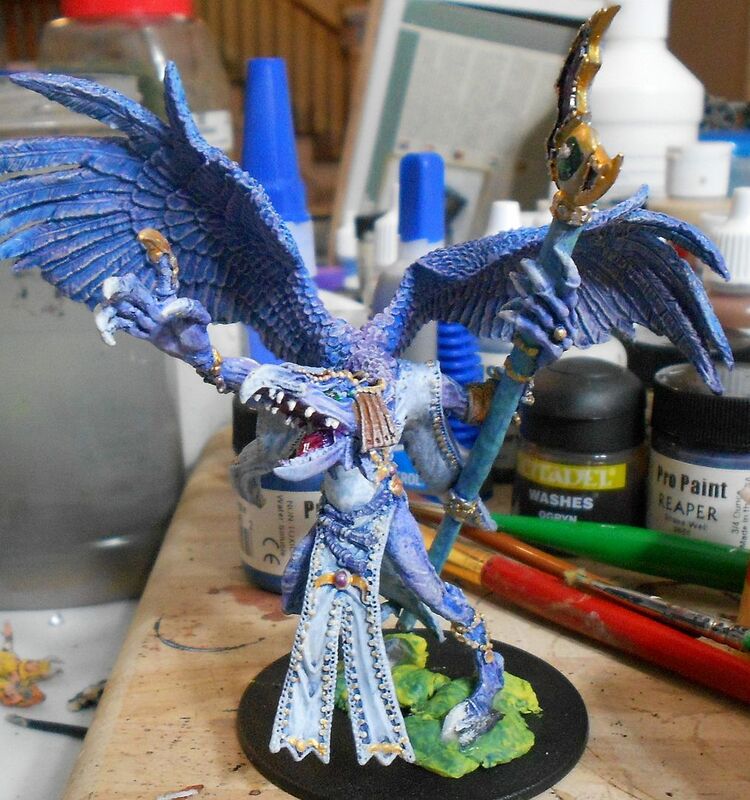 Above is a Lord of Change I've had partially painted sitting on a shelf for years on end. He was originally on a square base and was going to be used with my Tzeentchian Warriors of Chaos army, back when you could mix in mortals, daemons and beasts. The split there and the split in 40K took away my motivation to finish him until now. 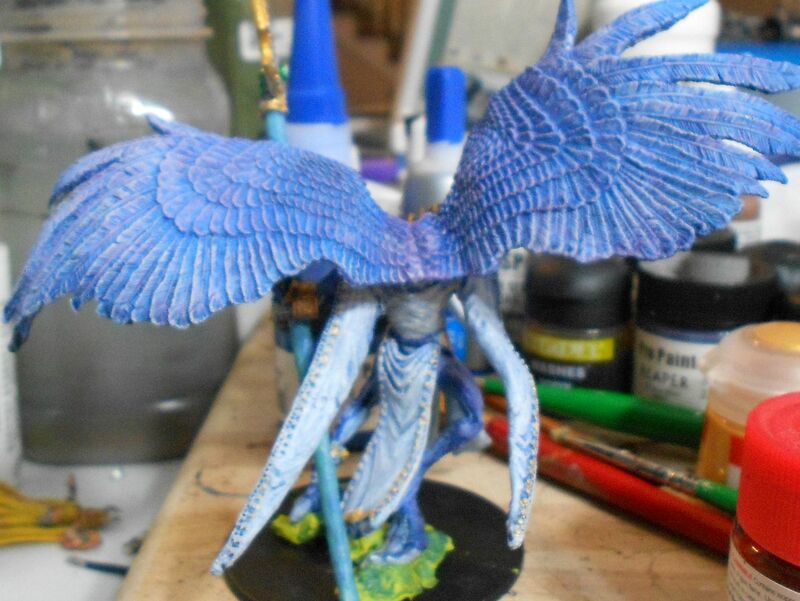 More Tzeentch, Horrors this time. 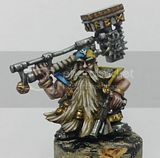 I originally got these for Fantasy too, and re-mounted them on round bases. And everyone's favorite daemonic devil-rays, Screamers. A little wash on the horns and a little drilling to make stands work and these old metal guys were ready to take to the sky. Bloodletters. I have a bunch of Flesh Hounds too (also the 3rd ed metal versions) but didn't break those out for picture time. Plaguebearers. I wanted the bases to tie in better with the urban street type bases of my CSM. Rather than clear their fuzzy green flock and start from scratch, I just drenched them in grey paint and then drybrushed them. 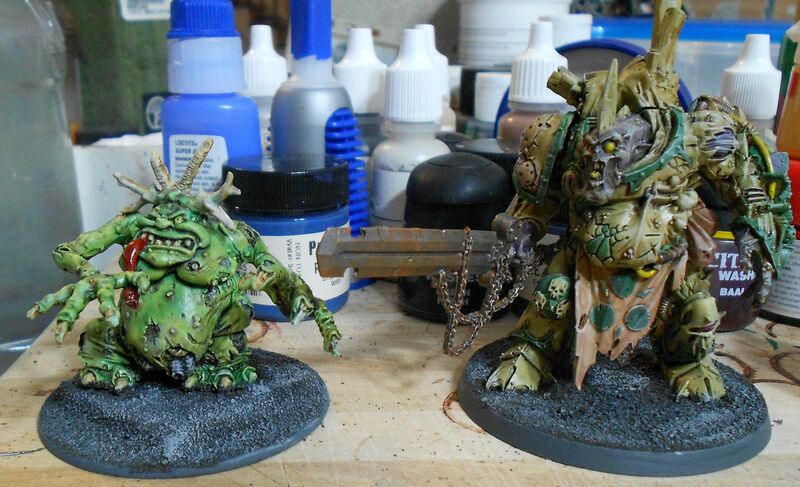 Seems to have worked OK.
And the Great Unclean One and Daemon Prince from earlier, now with basic basing. Very nice! I always thought those were the best horrors GW ever did, always wish I'd held on to the unit I had. Love how they all turned out! Thanks! Yeah, I love those guys, they look so...wrong. Having never been a real big fan of the original daemon aesthetics for the most part, I really liked the 3rd ed re-imaginings.